On both purchases I was impressed by both the service and genuine qualities of these people, I,m loo..
ordered c scope 770xd on Sunday night received tue morning a great fast service and great prices wil..
Wow what a pleasure to deal with a company that does what it promises and with such speed. Ordered a.. 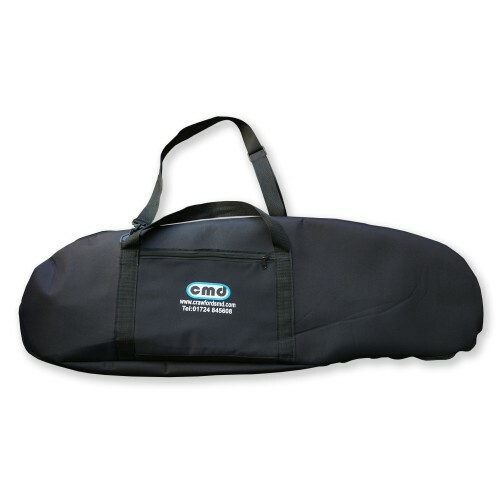 This large, durable carry bag by CMD will accommodate virtually any metal detector with your accessories. Made from tough, padded, water resistant 800 denier polyester, it will keep your detector clean and protected when on the move. It has both handles and a shoulder strap to make carrying easy, plus a zip-up side pocket for accessories and finds.